When we first viewed our house over 8 years ago (yikes!) I fell in love from the moment I walked through the door. Of all the houses we had seen this one just felt like home. We put in an offer, it was rejected, and I was devastated. A couple of months later though, we were contacted by the estate agent and told the offer on the house I loved had fallen through, and would we be interested in placing another offer? We were… we did, and two months later we moved in with our first baby due to arrive a few weeks later! What’s meant to be, will be. Our house was in really good condition aesthetically and structurally when we bought it so thankfully we didn’t have to do anything straight away. I did, however, want to put my own stamp on our new home, but as I was 8 months pregnant when we got the keys that ‘stamp’ took a while. Fast-forward 8 years and I’ve managed to tackle quite a few home projects over that time with several more in the pipeline, and I now wonder is a home ever really finished?! I love the natural look of timber framed windows even when painted (which was what I planned to do), but it’s an expensive project and because there was technically nothing wrong with the original windows it was something I put on the back burner for a few years. Nonetheless, when I recently decided to repaint the front of the house I was finally able to replace the windows then too. 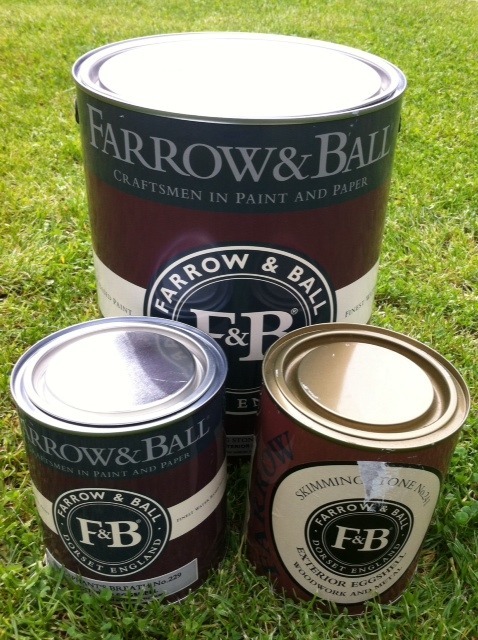 I had a colour in mind for the masonry - Skimming Stone by Farrow & Ball, and I wanted to paint the timber window frames to match. Eagerly I began my quest to find the exact windows I had in mind (I love a project like this!) and contacted Rationel, Carlson and Munster joinery. 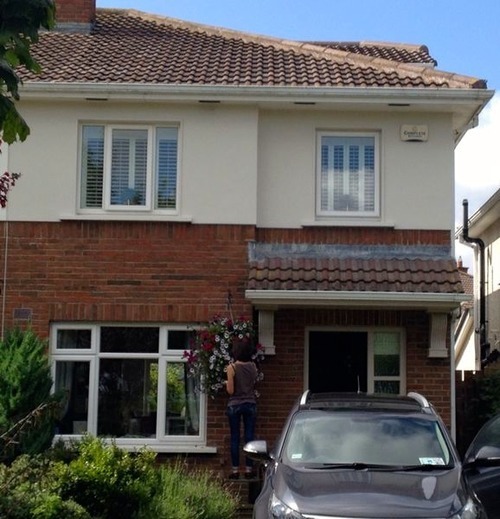 I also visited Stillorgan Decor Centre to collect the paint, an exterior masonry finish for the front of the house and an exterior eggshell for the woodwork. 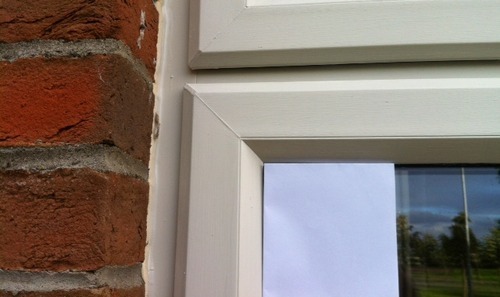 However, in the middle of sourcing my new windows I discovered you can actually paint PVC window frames - who knew?! I came across the concept when our local supermarket was getting a makeover. I noticed that the PVC window frames were a different colour during the ongoing renovation but they hadn’t replaced the windows. I was intrigued as (surprisingly for me with my painting passion) painting our own window frames was something I never thought of doing. I made it my mission to find out the best way to go about painting our PVC frames and most importantly if it was advised. I asked three people in the trade if they would recommend it. Two said it was absolutely fine to paint exterior PVC and the third (a painter) said he wouldn’t really recommend it, but he didn’t really say exactly why… I decided to do it - I like to take calculated risks! While I know painting PVC window frames is definitely not the same as having beautiful, Hampton style, timber windows, when I did stumble on this option I wanted to try it. I knew it would cost a fraction of the price of replacing the windows, plus it would allow me to change the colour, something else I wanted to do when I decided to replace them. This is the only photo I have (not a great one!) of the new colour on the masonry before the windows were painted. Next they worked on the porch. 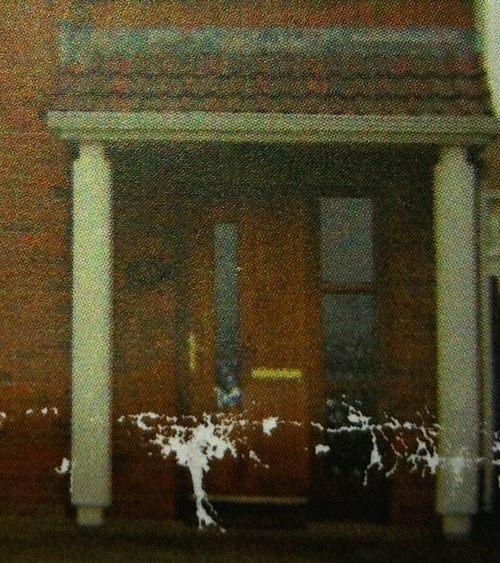 Apologies for the terrible quality, it’s a photo of the original estate agents flyer! 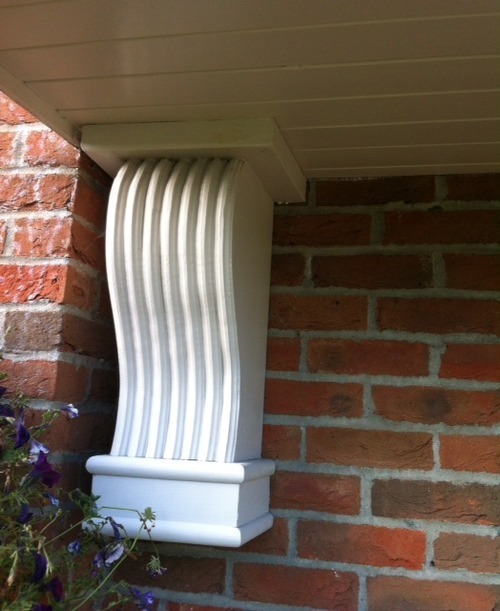 I also removed two plastic pillars supporting the porch and replaced them with more ornate wooden supports. All of the wood surrounding the front door, including the porch supports and roof was painted in 'Elephants Breath’ by Farrow & Ball (I love the names! ), but it all needed to be repainted after a few years of wear and tear. When the painting started on the windows, two things were paramount to painting our PVC window frames successfully. The first was that the frames were throughly cleaned beforehand, and the second was that the primer was applied correctly. Applying the primer correctly involved painting on 2 - 3 thin coats of Zinsser (a primer that was recommended for this type of job) in appropriate conditions, meaning in dry weather. The painting started about a month ago in July, and although we’ve had a very good summer so far there were a couple of torrential rain showers in the middle of the job - a typical Irish summer. After the primer was applied (whenever the sun came out! ), it was then time to paint two final coats of Skimming Stone exterior eggshell paint on to the window frames. The verdict: It’s a subtle change but I’m very happy with how the exterior of our house looks now after deciding to paint the PVC frames. The chosen colour 'Skimming Stone’ is a highly versatile 'off white’ and with its warm tones it’s a perfect colour for our north facing aspect. It works well with the existing colour on the porch (Elephants Breath), and also against the brick work around the window and front door. Painting PVC frames is a really good alternative to replacing the whole window if all you want is a colour change. I will be purchasing Hampton style timber framed windows - but not just yet! Even though they tend to mess it up - A LOT! One of the last things that we changed in our home was the windows because we figured they were fine as is. It wasn't until we popped them out and saw all the leaks did we realize we did the right thing. The house is better insulated and out heating bill dropped in half after the first month of our new windows. I believe that taking time to have doors, windows and insulation properly installed will benefit the property in the long run. Being installed properly means that the doors could withstand wear and tear due to usage while the insulation will help during winter. You did a very good job on your house. I do love both the front door and the windows. Buying a new home is not just a financial commitment but an emotional one as well. The facade of your new home looks amazing. But no matter how well you decorate your home, what is important is who lives in the inside with you. You’ve said it very well. Who knew? Now, instead of the cost of replacing eleven windows, two that are huge, we can just paint them. We had new siding put on and didn't really consider the color of the windows. It's enough of a clash that my wife mentions it frequently. 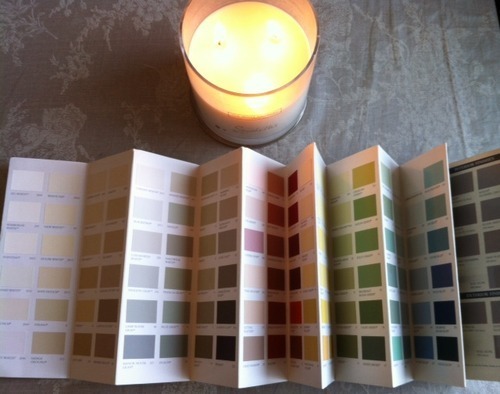 Now off to find her perfect color and look at painting supplies. 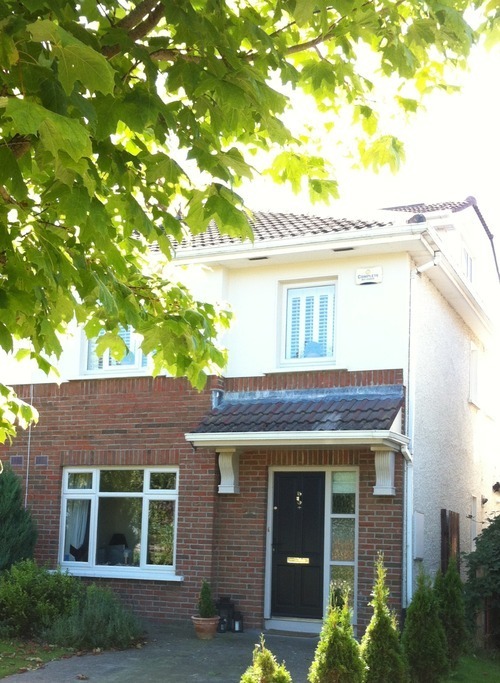 Instead of normal windows, double glazing windows are the best for a place or home. For getting the glasses in the best double glazing prices,agent can be contacted. 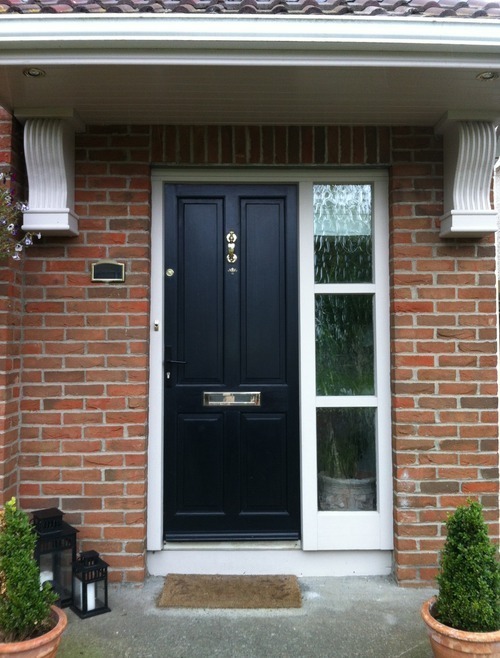 Very interesting Blog, which you have shared here about the UPVC windows. I am very thankful to you for posting this type of article here. uPVC Windows in India.